James Youquoi was born in Liberia, West Africa and currently resides in Tampa, FL with his wife and 3 children. James Youquoi is the co-founder and COO of the nonprofit Feed Liberian Minds. James Youquoi is also the People Services (Human Resources) Manager at DaVita Medical Group Florida in Saint Petersburg. 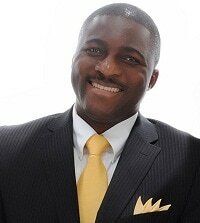 James Youquoi has worked in the Healthcare space for the past 10 years.